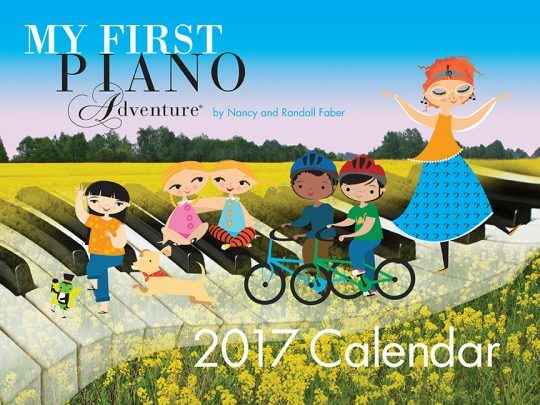 The 2017 My First Piano Adventure Calendar features the “friends at the piano” in twelve colorful scenes. 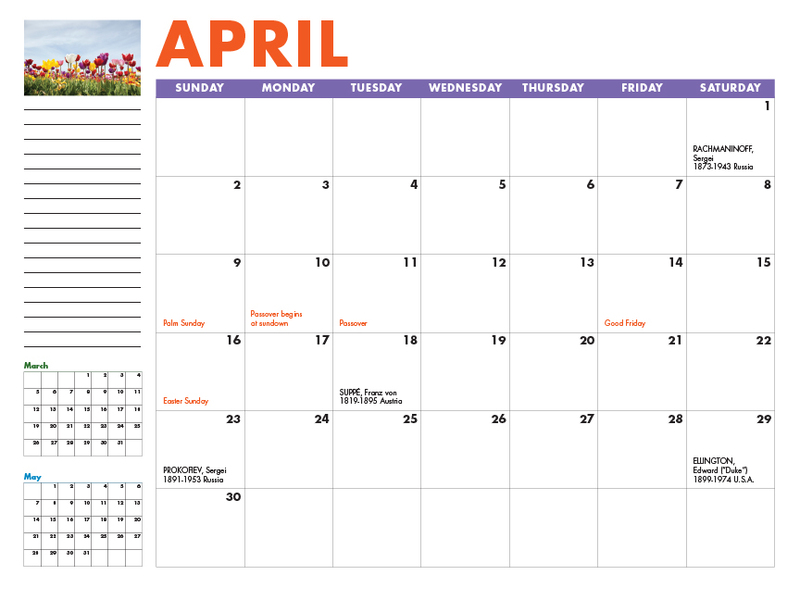 Each month includes major holidays and the birthdates of famous composers. 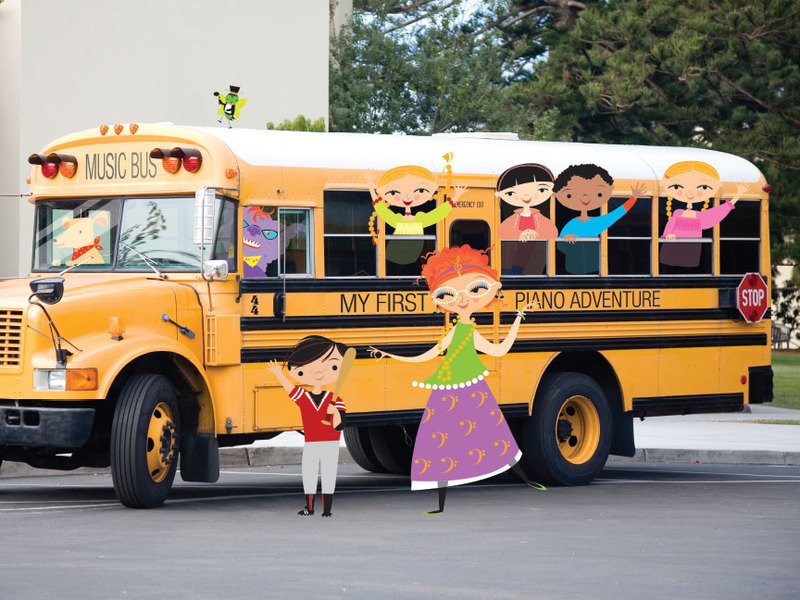 And look for the birthdays of your “friends at the piano!” Ideal for piano studios and musical gifts, My First Piano Adventure will lead you through the new year! 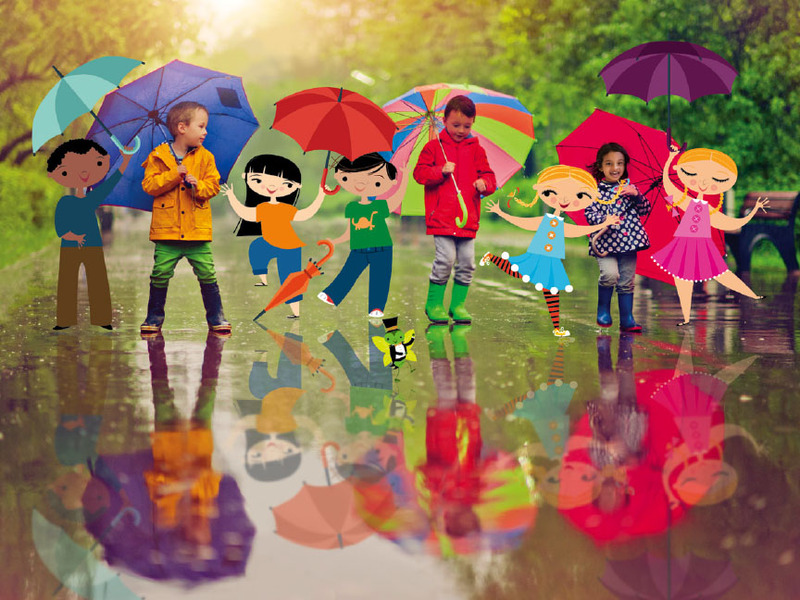 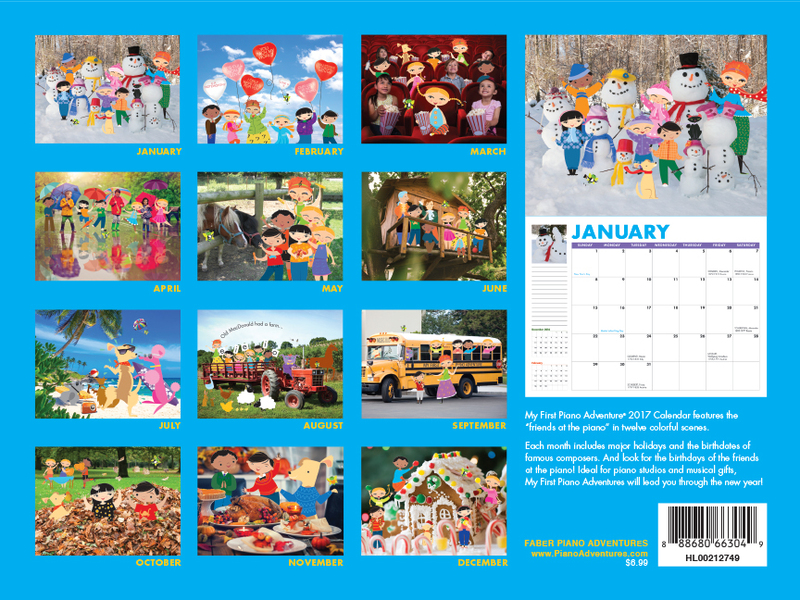 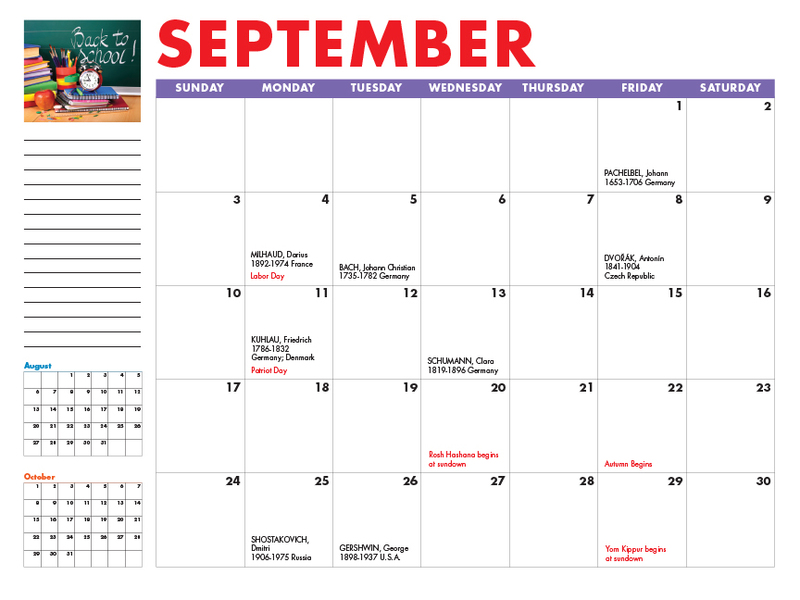 Join the Teaching Adventures Club and receive a free calendar!